The Chronicles of Fuji: May the fourth be with you! Last year, George Lucas sold Lucasfilm and the Star Wars franchise to Disney for over four billion dollars. That's on top of all the money Lucas made off of Star Wars merchandise the past 35 years. And I'm proud to say, I played a role in helping Mr. Lucas get rich. Like millions of others... I've been a Star Wars fanatic since Leia kissed Luke back in 1977. I was five years old when Star Wars: A New Hope was released and the timing was perfect. 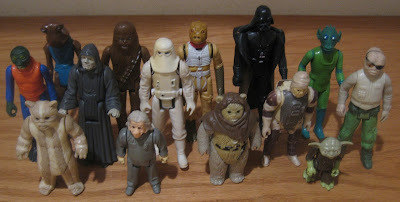 Action figures with guns and light sabers are like plastic heroin to a kindergartner. I remember sitting down and creating my Christmas wish list and ranking which figures and vehicles I wanted Santa Claus to bring me. It was an amazing time in my life. Eventually I moved on to other interests: Transformers, skateboards, video games, G.I. Joe, and of course... baseball cards. As for my Star Wars collection? Well... unfortunately most of it is no longer in my possession. 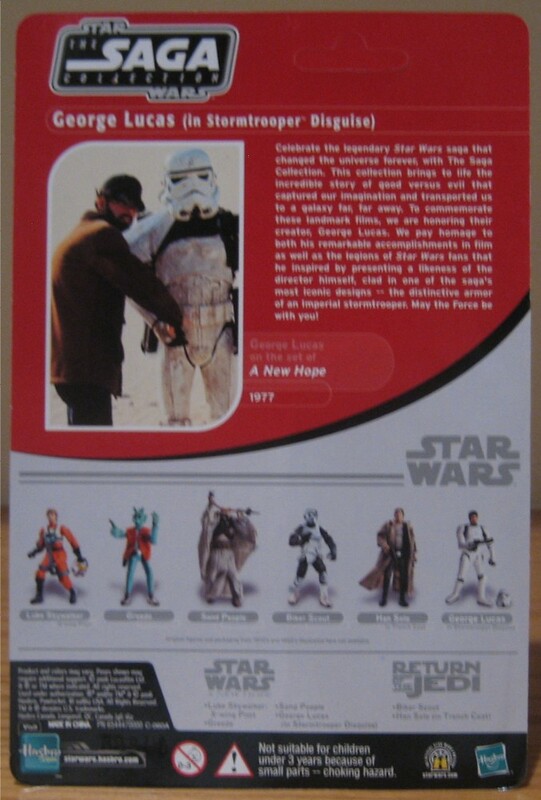 Fans who participated in Hasbro's Ultimate Galactic Hunt back in 2006, could mail in five proof of purchases and receive this cool figure. 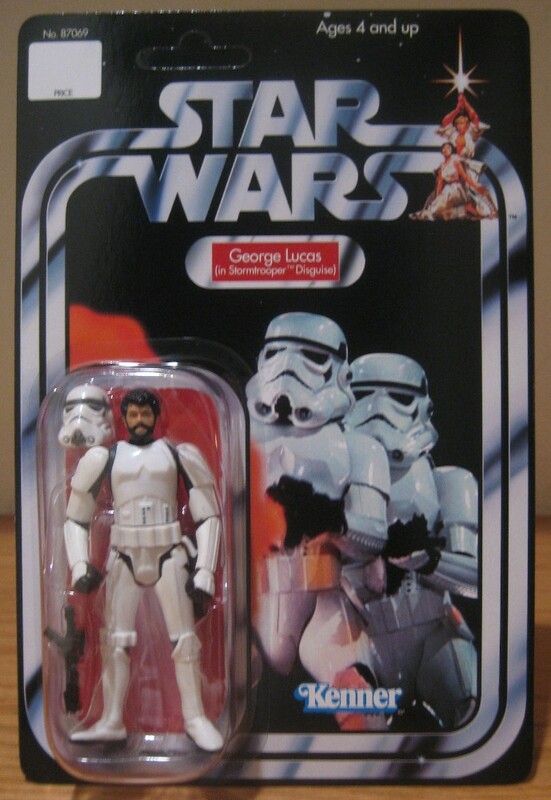 It's not the first time that Lucas has been immortalized in plastic. He has at least two other Star Wars figures that I know of. One of these day, I'll get around to adding them to my collection. Until then... May the fourth be with you. Happy Star Wars Day and sayonara! 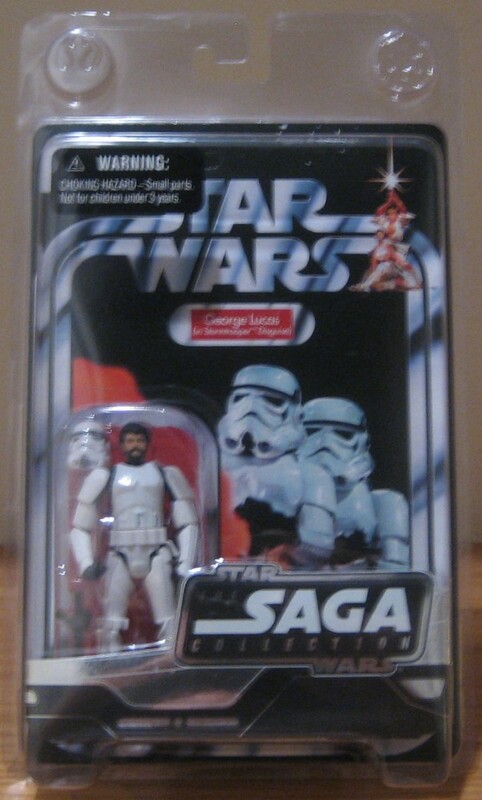 I participated in that hunt and have Mr. Lucas as well, he's one of the few action figures on permanent display in my home. I was 9 the year I sat in the theater for that kiss, "A long, long, time ago, but surprisingly not too far from where I currently reside!!" but as for me, I'm more of a Revenge of the Fifth person!!! The theater I watched Star Wars was torn down years ago... but the one I saw ESB and ROTJ are still around. I've never gotten into Star Wars. Can't wait for episodes 7-9....anyone else excited to see a senior citizen han solo? Heck yeah! I'm more excited about this trilogy, than I was with the prequels. I never got into the figures, too much time was spent on Transformers and Starting Lineup. I did pick up a Vader and Obi-Wan when they were on clearance, and a Yoda from Clone Wars, but that's about it.